By now, you probably understand the importance of segmentation in marketing. Just consider the stats for segmentation in email alone. According to the Aberdeen Group, personalized emails improve clickthrough rates by 14% and conversion rates by 10%. In a nutshell, better segmentation and personalization in your marketing leads to better results. But segmentation doesn't have to be limited just to email marketing. 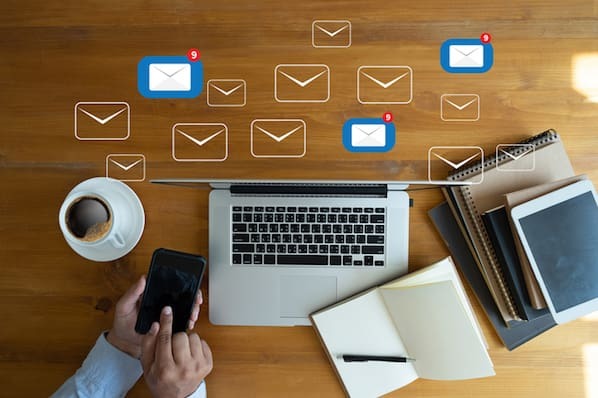 Using dynamic, or "smart," content, you can apply this powerful element of personalization to your entire website, showing visitors personalized content and calls-to-action (CTAs) based on the information you've collected in your contacts database. Consider this scenario for a moment: A visitor lands on your website and downloads your most popular ebook. Liking the content, they come back to see what else your company has to offer. 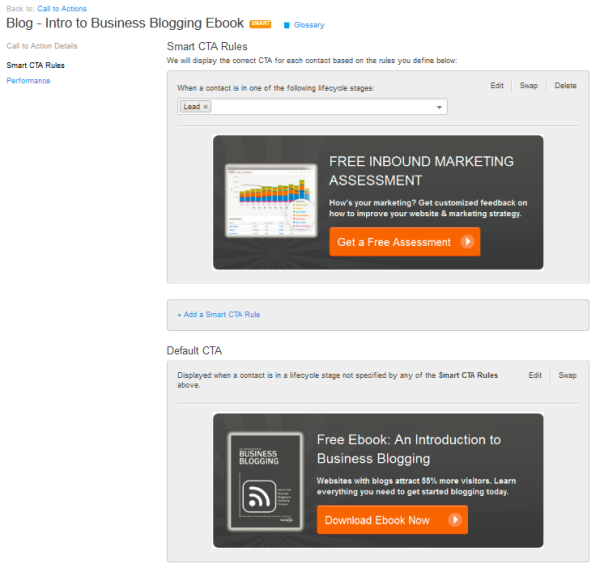 Does it make any sense to show them a call-to-action for the same ebook they’ve already read? Not at all. But with dynamic content, you can make it so that visitor automatically sees a brand new CTA when they return, targeted specifically to them based on what you already know about them. The result? A much more effective way to capture new leads and nurture existing ones into customers. Sounds pretty magical, huh? Think you might want to start implementing dynamic CTAs in your own marketing? Let's walk through exactly how dynamic CTAs work and how you can start incorporating them into your own marketing efforts. If you're still a little hazy on the concept of "dynamic content," it's the term for aspects of a website or email that change based on a website visitor’s profile data or history of interactions with a company. As a result, dynamic content creates an experience that is tailored specifically to the user. 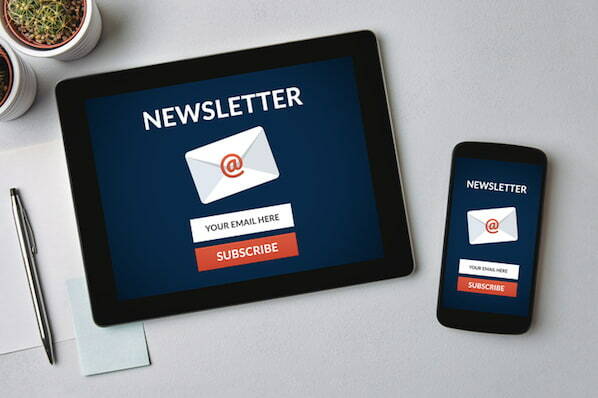 So when we say dynamic CTAs -- or Smart CTAs, as we refer to them at HubSpot -- we're simply applying the concept of dynamic content to the calls-to-action on your website or in your emails. Think Amazon.com, for instance. When you visit that website, you see one set of purchase suggestions. Your friend, on the other hand, will see a completely different set of suggestions. It makes a lot of sense, right? You each have different identities, with your own preferences and needs. The website should adapt to match your browsing behavior, not the other way around. 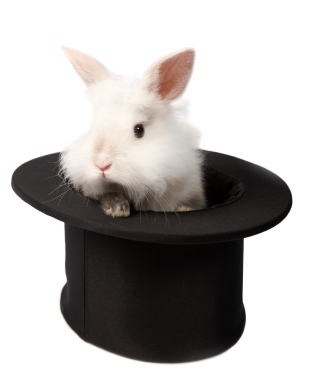 To set up Smart CTAs, the first thing you need to do is set up your segmenting criteria. 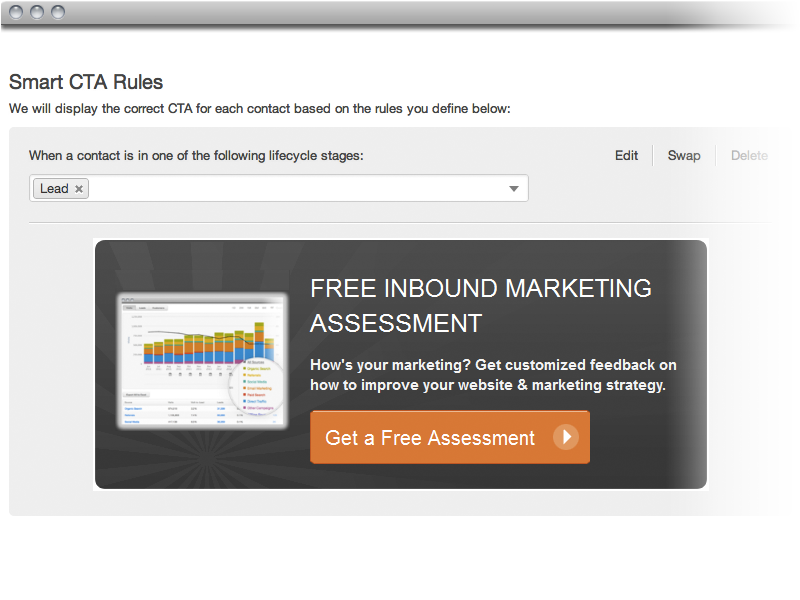 This criteria is what will trigger your smart content generator to display certain CTAs to different website visitors. The beauty is that there's really no shortage of ways you can segment your Smart CTAs. Using HubSpot's tools, for example, you can either segment by customer lifecycle stages or a variety of variables you can set up using dynamic, Smart Lists (lists that get updated with contacts automatically when certain criteria you set up are met). A visitor's "lifecycle stage" refers to how far along in their decision-making process they are with your company. Is this their first visit? Are they just doing research, or are they comparing your product/service to that of the competition? Have they been a customer for a while? 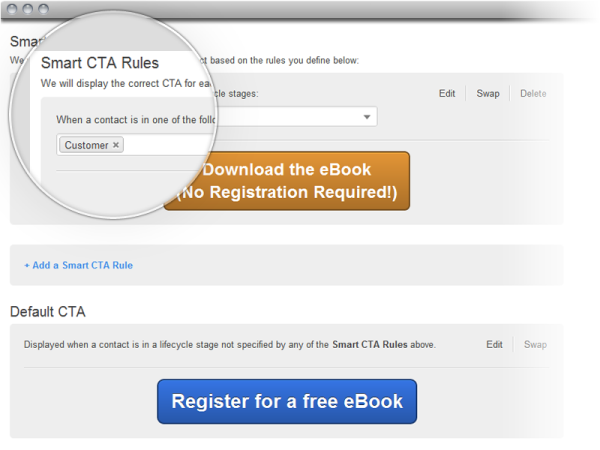 The idea is, you should show your visitors different CTAs depending on their particular stage in the sales cycle. Besides lifecycle stage, you can also choose to segment your Smart CTAs based on dynamic Smart Lists that can be set up using any piece of information (or combination of information) you have about that visitor in your contacts database, from profile information to website activity -- and even visitors' engagement off your website, such as opens or clicks on your email messages or clicks on the content you share in social media. For example, you could set up a Smart List of contacts who have downloaded a particular ebook, and decide to show them a CTA for another ebook you have on a similar subject. After all, if they were interested in that subject to begin with, it's likely they'll appreciate more information on that topic. Or, if you sell to people in various industries, you could create a list of contacts within a particular industry and target them with calls-to-action for offers that cater to that particular industry. And that's only the beginning; the possibilities really are endless. This is where the possibilities really get endless. Here are 27 ways to segment your contacts to get you started. It's just not just enough to create segments for your Smart CTAs. You'll also need to align the offers your calls-to-action are promoting with the individual segments you set up. After all, doing all that work to create specialized, targeted segments of your audience will be a royal waste of time unless you're triggering CTAs that cater to the interests and needs of each of those particular segments. Before you start setting up a ton of detailed smart lists with very specific targeting criteria, make sure you conduct an audit of the offers you have at your disposal. When you just get started out, you should aim only to create segments for which you have appropriate offers with which to target them. Because there are far fewer segmenting options when you target CTAs by lifecycle stages, I recommend getting started with Smart CTAs using that triggering method. 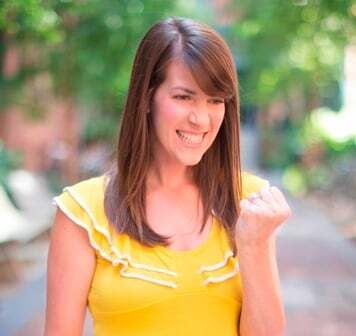 First, map your offers to their appropriate lifecycle stage. As we mentioned earlier, a more top-of-the-funnel offer like an educational ebook or webinar would probably map to visitors in an awareness stage -- such as a subscriber or a new lead. 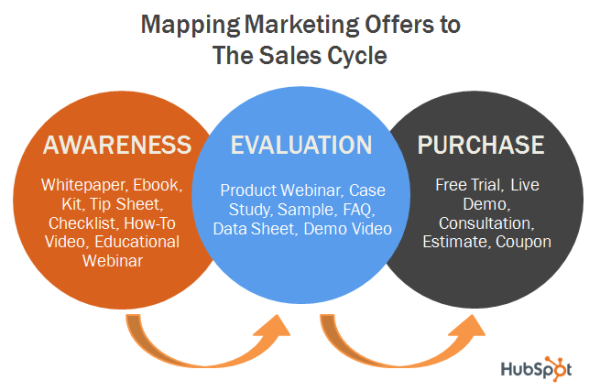 On the other hand, for a visitor with a marketing or sales qualified lead lifecycle stage who would lie in the evaluation or purchase stage, you'd map more product-focused offer such as a free trial or a product demo. Once you get comfortable using Smart CTAs by lifecycle stage, you can start building up a heftier arsenal of very targeted offers and start implementing more advanced segmentation using dynamic lists. For example, you might create a specific ebook tailored just for contacts in one particular industry you target, which you can then display to a list of people who fit that industry criteria. Or maybe you create a free trial geared specifically toward contacts of a certain age group. And so on and so forth. Your smart content generator should also allow you to set a "default" CTA. This is the CTA that will get shown to any visitors who doesn't satisfy the criteria of any specific segmentation you do. For example, if you set up a rule that triggers a specific CTA to show if a visitor has the lifecycle stage of "lead" in your contacts database and you have no other rules set up, your default CTA will show to anyone who isn't a lead in your contacts database. Choose this CTA wisely. It should most likely be a call-to-action that you know performs well with a broad segment of your audience. And remember: because you can only segment your Smart CTAs based on the information you've already gathered about your contacts, your default CTA should probably be set as one of your top-of-the-funnel, awareness stage offers, since you'll have no information about brand new visitors to your site, and these are people who are most likely in the awareness stage. The next step is to map your CTAs to the individual channels and web pages you're using them with. Here are some alignment tips to take into consideration for implementing Smart CTAs on a channel by channel basis. When setting up Smart CTAs for your blog articles, it makes sense to set your default CTA as one of your top-performing, top-of-the-funnel offers that aligns with the content of that individual blog post. So if you typically blog about 6 different topics (for HubSpot's blog, for example, those categories might be SEO, blogging, social media, lead generation, lead management, and analytics), you could set up 6 different Smart CTA groups with the default CTAs for those groups set as an offer targeted at each of those 6 different topics. When aligning Smart CTAs for specific web pages, consider the likely stage your site visitors are at if they've arrived on that particular page. For instance, someone hanging out on your "About Us" page is probably in a different state of mind than someone checking out your product pricing page. Map your website pages to different stages of your sales cycle, and set up your Smart CTAs accordingly. Thank-you pages are the pages visitors get redirected to after completing a form on your website, usually to redeem the offer they just converted on. Keep in mind that because this is the case, you'll have information about these users that you can use to your advantage in CTAs on your thank-you pages. Consider making the default CTA tailored to the subject of the original offer, and use your CTA segmentation to display CTAs that will move them further along in the sales cycle. That's right! If you have an all-in-one marketing software solution like HubSpot, you can even use dynamic Smart CTAs in your email sends! So if you were, say, sending an email to a certain segment of your leads who have already downloaded 5 pieces of content and you know are engaged with your brand, you can send them all the same email asking them to sign up for a product demo -- but displaying different, industry-specific demo CTAs depending on the profile information of each individual recipient. This saves you the time from creating and sending multiple emails, but still gives you the benefit of very targeted, segmented CTAs! Depending on the functionality of your smart content generator, you may be able to use Smart CTAs on other websites, too. In HubSpot, for example, you could set up Smart CTAs using the information you have in your Contacts Database, and then embed those CTA groups on, say, a microsite you've created. So if you're driving traffic to a microsite you've created for a specific campaign, consider creating Smart CTA groups geared just toward the visitors of that website. Once you've set up your segmentation rules, chosen your offer content, and aligned your Smart CTAs with their intended marketing asset, you'll still need to design your individual CTAs. You hava a few options here: hire a designer, use a CTA generator like HubSpot's, or take a stab at designing yourself using a tool like PowerPoint or PhotoShop. Use actionable language that creates a sense of urgency (e.g. "Download Now"). Choose language and terminology aligned with the CTA's target segment. Consider the placement (think about sizing, shape, and dimension limitations based on the marketing asset your designing for). Voila! Once you start implementing dynamic CTAs, you'll begin to reap the benefits of extreme personalization and segmentation. Good luck!